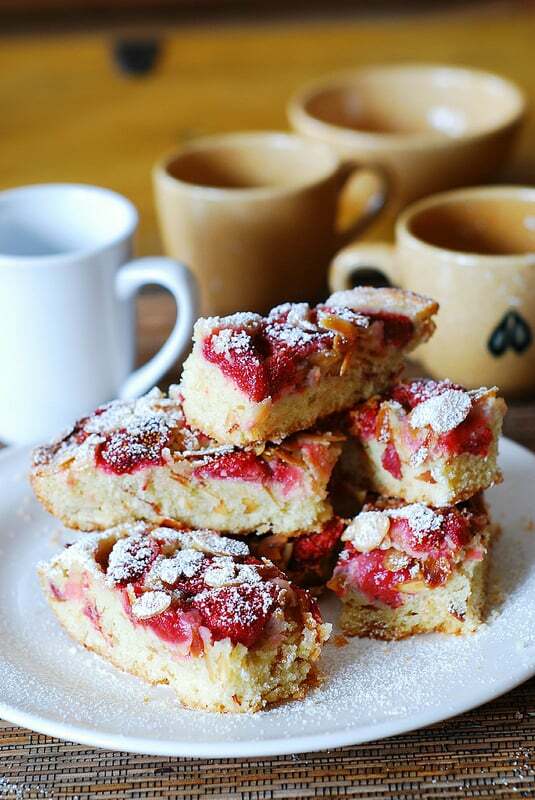 Strawberry almond blondies – easy-to-make cake bars perfect for breakfast, snack, or dessert. 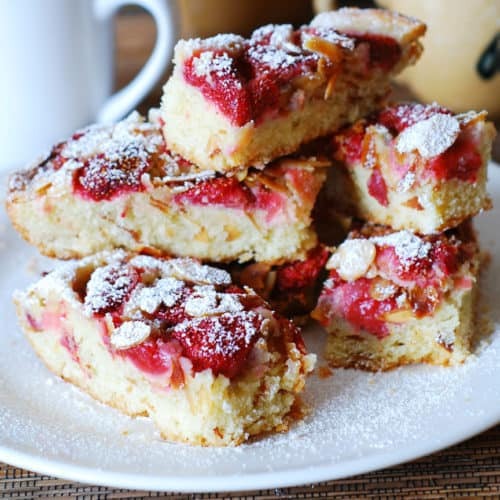 I’ve dusted these strawberry almond cake bars with powdered sugar – yum! 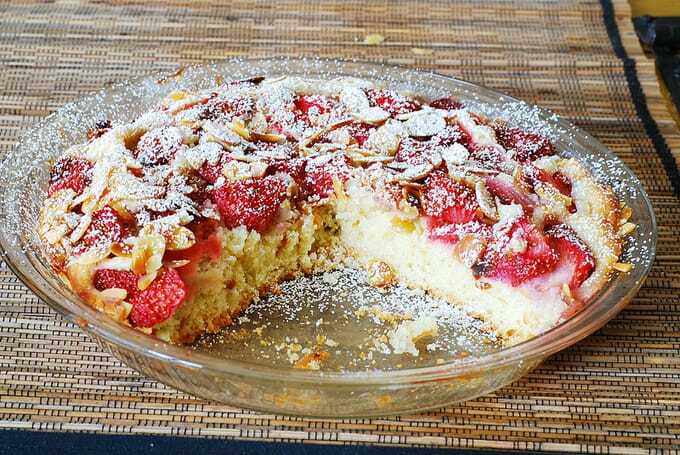 As you can see on the photos, the cake came out beautifully, with a wonderful combination of toasted almond and strawberry flavors. I baked it in a round cake pan, and then sliced it in 12 rectangular bars. After I did that, I realized it could’ve been easier just to slice it in 12 wedges. I served it warm with a scoop of vanilla ice cream on top! It’s an amazing treat that will bring summer right back into your house! 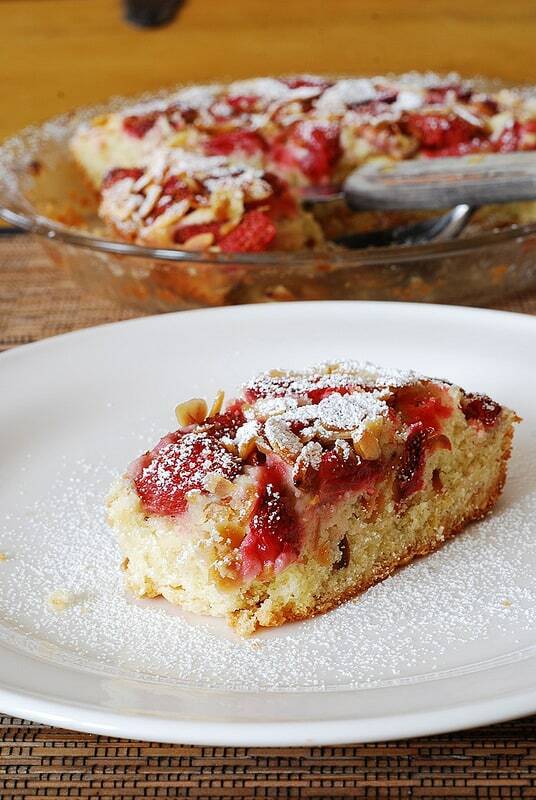 A wonderful combination of toasted almonds and strawberry flavors. 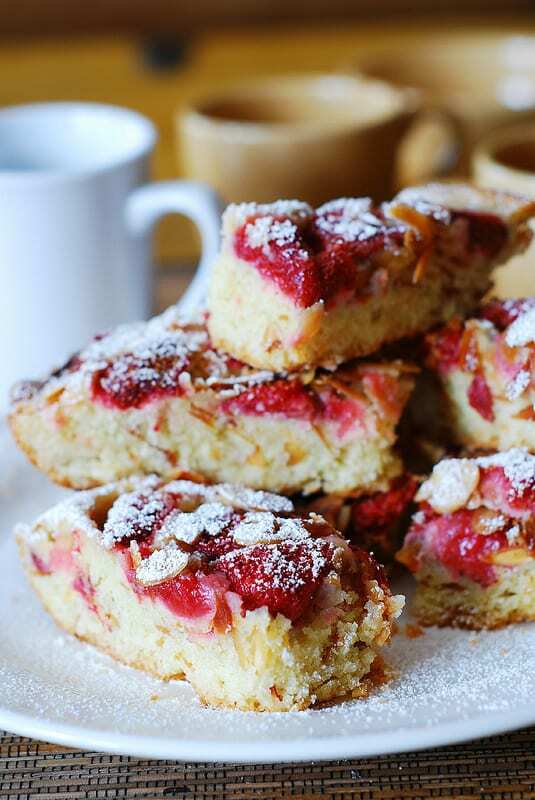 These delicious strawberry almond blondies are just like strawberry cake bars. Use 8-inch square baking pan or 9-inch diameter round baking pan. Preheat oven to 325 degrees. Butter an 8-inch square baking pan or a 9-inch diameter round baking pan. In a separate bowl, using electric mixer, cream together softened butter and brown sugar until the mixture becomes light in color and fluffy in texture, about 5 minutes. Add eggs, vanilla extract and continue beating until well combined. Add dry ingredients from step 2, and beat using the mixer, on low speed until well combined. Mix 3/4 cup toasted almonds into the batter. Pour batter into prepared buttered pan, using spatula to helps spreading the batter in the pan. 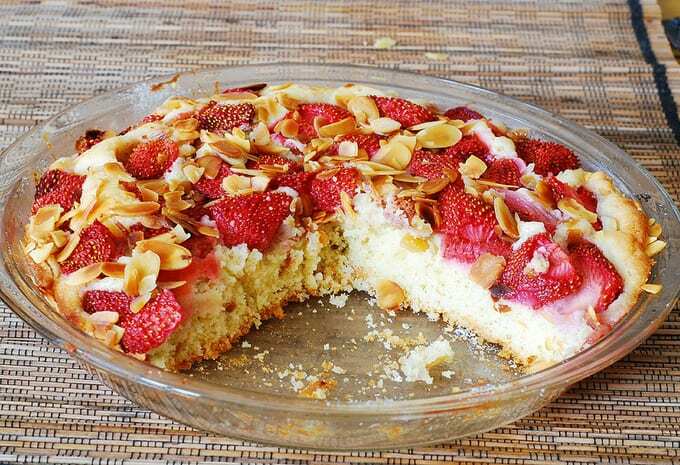 Scatter sliced strawberries and remaining 1/4 cup almonds over the batter in a baking pan. Bake for about 60 minutes, until a toothpick inserted into the cake comes out clean or only with a few crumbs on it. Dust with powdered sugar before cutting into slices. Serve it warm with a scoop of vanilla ice cream! How gorgeous Julia! Strawberries and almonds love each other! And I love them. I’m still eating lots of berries! I’m not ready to let them go but I am happy it’s pumpkin and apple time.